Art in motion. They say, “dress for success.” If that’s the case, the Williwaw™ knife’s wispy, artful handle takes the cake, sitting squarely at the intersection of beauty and functionality. It’s upping the ante for everyday carry knives. Black tie not required. Art in motion. They say, “dress for success.” If that’s the case, the Williwaw™ knife’s wispy, artful handles take the cake, sitting squarely at the intersection of beauty and functionality. It’s upping the ante for everyday carry knives. Black tie not required. 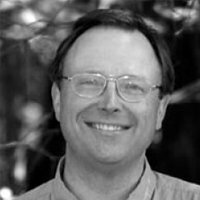 Jim Hammond is the very first knife designer we worked with way back in 1994, and we’ve been deeply admiring of his talent and unparalleled work ethic ever since. From his studio in Birmingham, Alabama, the knives he produces are renowned and remembered. He’s been a member of the Knifemakers’ Guild for over four decades, and truly, his designs simply keep getting better and better. So when he presented us with his vision for his newest design, we couldn’t wait to see it come to fruition. The cherry on top was the name he had chosen: Williwaw™, nodding at a frigid wind that originates in the Alaskan mountains and ends blasting into the coastal fjords. A practical modified drop point blade with a satin finish sets the tone, deployed with a subtle flipper. Opening this one is a breeze with the IKBS™ ball bearing pivot mechanism. 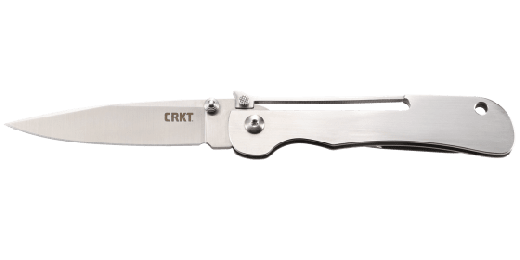 Stainless steel spheres reduce friction around the pivot for quick, consistent operation, and once open, the blade is locked in place with a frame lock to keep digits safe. The real show-stopper of the knife is its black stonewash stainless steel handle whose curvy, wandering lines expertly illustrate its well-chosen name. The Williwaw™: an awesome representation of an artist at work. Designer Flavio Ikoma and Rick Lala invented this system that sets lubed ball bearings into the folding knife pivot. The result is rapid blade deployment that is smooth and fast. 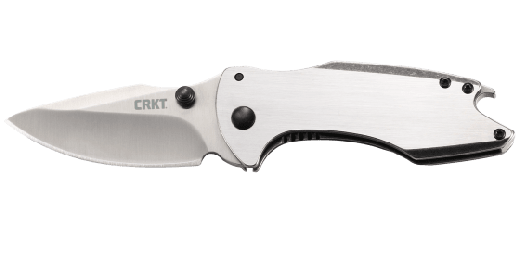 Jim was the first knifemaker to work with CRKT® in 1994, but he had more than 17 years experience under his blade-decorated belt prior to that. After graduating from Clemson in 1977, he quickly climbed the ranks, specializing in military and collector grade tactical fighters like our FE™ series. A Knifemakers’ Guild member since 1978, his designs—and golf shots—are all about excellence, flair, and function.